Okay, this is going to be excellent again, isn’t it? Alright, for me, at this point in 1966, it’s pretty much a given that every big-ticket Motown single is going to be good, and probably most of the small-ticket ones as well; a Four Tops/Holland-Dozier-Holland collaboration, even a B-side, is as close to a sure thing as anything can be even before the needle drops. But in this case, I mean that when the needle did drop (or, well, more accurately but boringly/prosaically, I pressed play on the FLAC file), it only took me a few seconds of the intro and first verse to decide that, yep, this is going to be ending in another big green number. Sorry to spoil the surprise, but, hey, let’s not focus on how they’re doing this, and instead just enjoy the Golden Age ride. Again. The intro is just immediately likeable, almost comfortable, if that’s not damning with faint praise (it’s not meant to be! ); staccato rhythms, a jangly, looped off-time guitar riff and sweet strings give way to a lazy drumbeat, sweet backing vocals, and a tune you can just immediately grasp. 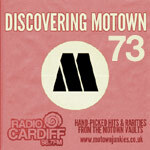 Even if you knew nothing about how Motown – and HDH – put together their records, bringing in singers for overdubs on pre-recorded band and choir tracks, you could guess it from the first verse of Just As Long As You Need Me, the Andantes and Tops following that bumping beat and looped guitar figure with a pretty, singalong tune, and then Levi Stubbs let loose over the top, delivering an almost freeform lead vocal in typically excellent style. “Lazy” is a good way to talk about this record, I guess, or rather the feeling it gives off throughout. Not that it’s been constructed in a slapdash or half-hearted fashion; heavens no, it’s another intricately-arranged production, especially the band track which has all kinds of interesting little things going on throughout – a couple of my favourites are the unexpected horn solo, or when the song briefly threatens to veer into leftfield, a sharp and thrilling change into a minor key before the ship rights itself again. No, it’s more that the whole record just feels so natural, as though everyone on it – the musicians, the singers, Levi – were in some kind of comfortable place at the time of recording, taking a quick look at their charts and thinking “yeah, we got this”, giving it a relaxed atmosphere more akin to a jam session with friends than a tightly-scheduled couple of hours in the cramped confines of Hitsville. Of course, Levi Stubbs’ vocal style, especially on a cut like this which really emphasises his Martha Reeves-style disconnect with anything so prosaic as the actual tune, has a way of conveying that jam-like atmosphere no matter what it is he’s singing, it’s just one of the many things that has attracted listeners to the Tops’ Motown material for the last fifty years and will no doubt continue to do so again, but there’s more to it than that, even. Unlike the A-side, full of dark paranoia and mental anguish, this is a happy love song, and moreover one that looks to the future with a kind of optimism. In short, it’s the story of the narrator trying to move in and pick up the pieces after a failed relationship has left the object of his affections wary and hurt; once again, Levi Stubbs’ heartfelt, pained delivery is what really sells these lyrics, when in lesser hands they might have come across as wheedling or manipulative. The narrator not being some kind of omnipotent white knight swooping in to save the heartbroken girl earns quite a few points for me; indeed, rather than promising everything will be so much better once she hooks up with him instead, much of the song is him explicitly setting out that he isn’t going to promise a bunch of unrealistic things to take advantage of her broken heart. I can’t promise you you’ll never cry again, ’cause everyone cries sometimes, he states, a matter-of-fact moment on the page turned into a direct missive from the heart on wax; I can’t promise you you’ll never know heartaches again, ’cause everyone’s heart aches sometimes. When the kicker arrives – All I can promise is my love to rely on… just as long as you need me, wonder of wonders, I feel like this could actually work. And even more surprisingly, and I think this has more to do with Levi than any other factor, I think I believe him. So, it’s almost an antidote (not that one was strictly needed!) to the nervous, crackling energy of “Shake Me, Wake Me (When It’s Over)”, its open-ended optimism particularly well-suited to the purpose (the implication being that, while the narrator is saying he’s happy to be put aside again the moment she decides she no longer needs him, well, of course, that moment need never actually come). It’s not as brave as the A-side, or as startling, and – hand on heart – it isn’t quite as good as a record, either; but it’s still lovely, and it still works. On the excellently-titled Four Tops Second Album (above), from which Just As Long As You Need Me was taken, this would have made a perfect closing number, for similar reasons; instead, it’s the song the label chose to kick off Side 2 – the weaker of the two sides, for my money, and certainly more unassuming and less hit-laden – and it works there, too, as a kind of statement of intent beyond its own boundaries. The Four Tops will be there as long as we need them. We need them still. In the era this record came out, if Motown 45s were near fail-proof, A & B sides, it’s only logical that the company’s albums of in-house material were no less strong. Powerfully strong they were, and to this day. Four Tops Second Album always did feel their equivalent to More Hits By The Supremes, with two more of its tracks yet to come on the b-sides of subsequent Tops singles (as well as the first version of HDH’s “Helpless” we’d hear anywhere). Moods Of Marvin Gaye, Going To A Go-Go, Uptight, Temptin’ Temptations, Vandellas- and Marvelettes Greatest Hits have or are about to join Second Album on the market and a budding teen needed to scrounge a significant amount of greenbacks to keep up. I remember it well. Excellent review again 🙂 Thanks for taking me back. Thank you for another wonderful essay of a great track, and congratulations on Adam White’s appraisal of this site (http://www.adampwhite.com/westgrandblog/2019/3/22/feeding-an-addiction). So well deserved! Thanks for the review of The Four Tops’ “Just As Long As You Need Me”. I first heard the song on their great “Second Album” (as another poster suggested, it’s The Tops equal to The Supremes classic “More Hits” LP) & agree with your rating of it. Thanks for all that you do & Keep Up The Great Work. Thanks as always for your insightful analysis. The rating of “7” is spot on! Great to see another post and well worth waiting for! It did after all take Michelangelo four years to complete the painting of Sistine Chapel ceiling and he had help. Given the complexity and enormity of your undertaking, and that all the work is without assistance, and self financed rather than by a Pope, you are permitted to take decades if necessary! Anyway, much appreciated for the awesome input and regularly referenced. A great vocal, tune and arrangement positively oozing in class. I can’t argue with anything in the review, but this is my absolute favourite 4 Tops HDH b-side, so it’s a 10 from me. I agree absolutely! I never understood why this gem was relegated to a B-side. I recently compiled a list of my Top 40 Four Tops songs and this gem ranked number 4 behind Reach Out I’ll Be There (3), Baby I Need Your Loving (2) and Bernadette (1). The A-side of this single Shake Me Wake Me was at 22! I generally re-compile my artist top lists every 3 or 4 years to see how my tastes have changed over time. This song has always been on the list but has risen in the ranks considerably over time. Can we see the rest of the list, out of interest? My favorite part of this review is referring to the “excellently-titled Four Tops Second Album”. And I had to chuckle when my mouse ran over the picture as well. Your review is just-right. A 7, maybe even an 8. At this time the Tops (and Motown in general) could do no wrong. Oh, and the Beatles Second Album (which most Britishers don’t know) is my favorite album title. Especially because it isn’t. Neither is the Four Tops if you include “Breaking Through”. Some confusion here? “Shake Me Wake Me” was never meant to be a B side as far as I know.